Volkswagen Polo and Hyundai i20 are both high quality hatchbacks. They differ from each other in few areas. Polo looks great with its European looks; however it is more traditional as compared to more contemporary Hyundai i20. Overall, Polo appears to be conventional hatchback, while i20 displays youth appeal with its prominent snout and muscular curves. The interiors of the Polo are traditional and decent while its exteriors display Italian flamboyance. One of the drawbacks is that three adults cannot seat with great comfort and it’s a tight fit. Comparing this to Hyundai i20, the space at the rear is not so packed for three adults to seat. Polo comes with electronic multi-information display which an i20 lacks. Volkswagen Polo comes with 1199cc with 3 cylinders engine that offers 74 bhp at 4200 revs. It has a five-speed manual transmission that is packed with this engine. 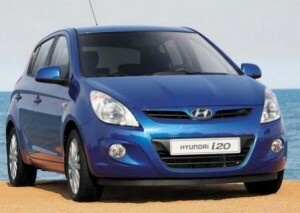 However, the performance of Hyundai i20 engine is more than that of Polo engine. i20 provides more accelerative powers than Polo. Polo design manages to keep the noise down while Hyundai i20 remains noisy. Polo engine allows you to enjoy smooth ride even at 140 kph, however it is not ideal for stop-and-go traffic. Hyundai i20 comes with 1394cc 16-valve DOHC diesel engine packed with a six-speed manual gearbox. It offers 89 bhp at 4000 rpm. The engine provides great performance above 2000 revs. It is an ideal car for not only on highways but also in cities. Polo clearly scores over Hyundai i20 when it comes to ride performance. Polo offers brilliant ride experience and presence of electric power steering provides adequate feedback with increase in speed. Grip with Polo is excellent and ride is very comfortable. i20 looks well on the roadway however it loses its composure on corners. Hyundai does not have proper balance between ride and handling. Polo has an edge over i20 in terms of handling and steering.